Cranberry has long been used by Native Americans as both a food and a medicine to treat many types of ailments, including digestive problems, bladder disorders and kidney diseases. In 2011, it is best known for its use in preventing urinary tract infections, or UTIs. Presently, there is insufficient evidence to support its use for any condition. Consult with your doctor before using cranberry medicinally. UTIs are usually caused by bacteria and are the second most common type of infection in the body. You may have a UTI if you suddenly have pain or burning when you urinate, have a constant urge to use the bathroom, have a fever, feel pressure in your lower abdomen and your urine is cloudy or smells bad. You can try to relieve UTI symptoms by drinking a lot of fluids, such as water or cranberry juice. Laboratory studies in test tubes have shown that cranberry prevents the bacteria called E. coli, which is the bacteria that most commonly causes UTIs, from adhering to the wall of the bladder. This action is thought to lower the ability of E. coli to cause an infection in the urinary tract. Cranberry juice in doses of 4 to 10 oz. of pure juice, or 114 to 296ml, a day reportedly helps treat and prevent recurrences of UTI. You can also drink several 16-oz. or 500ml glasses of unsweetened cranberry juice from concentrate daily. As cranberry juice is very sour, commercially available juice has added sweeteners. Look for the brand with the lowest amount of added sugar. Supplementing with cranberry juice may be beneficial if you experience recurrent UTIs. 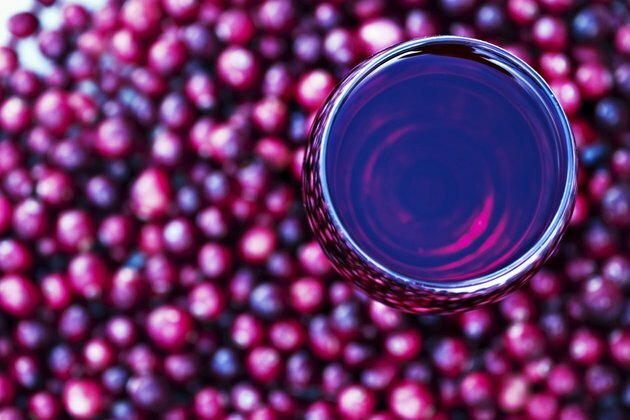 Preliminary research in women with UTIs has shown that cranberry juice lowers the amount of bacteria in the bladder significantly more than placebo, or inactive medicine. However, laboratory studies suggest that cranberry does not work as well when the bacteria are already attached to the wall of the urinary tract, so that cranberry may work better at preventing UTIs than treating them. Can I Take Cranberry Pills While Pregnant?